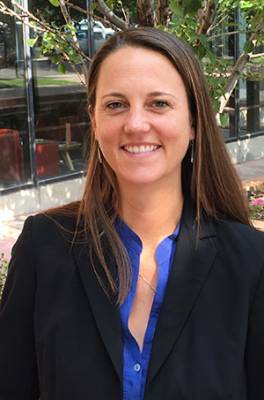 Attorney Abbie Johnson joined Kolko & Associates, P.C., this week, as a Senior Associate Attorney. Abbie is an experienced immigration practitioner, with strong experience representing children. She enters private practice after several years as the Managing Attorney of the Children’s Program at the Rocky Mountain Immigrant Advocacy Network (RMIAN), a program serving minors who find themselves in deportation proceedings, usually fleeing violence in Central American countries. Abbie grew up in Loveland, Colorado. She attended Claremont McKenna College where she earned her undergraduate degree in Spanish Literature and International Relations in 2004. Abbie also has a Master's degree in Childhood Education from City University of New York. Prior to pursuing a career in law, Abbie developed her passion for serving immigrant communities as a 2004 Teach for America corps member in New York City where she taught first grade in the south Bronx. Abbie will work primarily on family-based immigration cases, removal (deportation) defense, as well as benefits for vulnerable populations, such as asylum, VAWA, and U/T visa cases.